I have been calling this disease Pemphigus for 20 years so pardon me if I don't use the newer terminology of SLO (Symmetrical Lupoid Onychodystrophy). 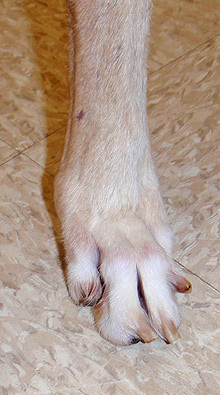 Pemphigus is an autoimmune disease that usually attacks the nail bed and we have seen it in greyhounds for many years. Classically we see the separation of the nail from the quick. It will usually begin with one or two nails sloughing off and ultimately all the nails may fall off. 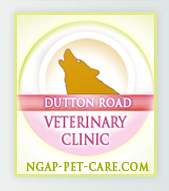 Pemphigus is very painful for the dog and needs aggressive treatment in order to reverse the effects. 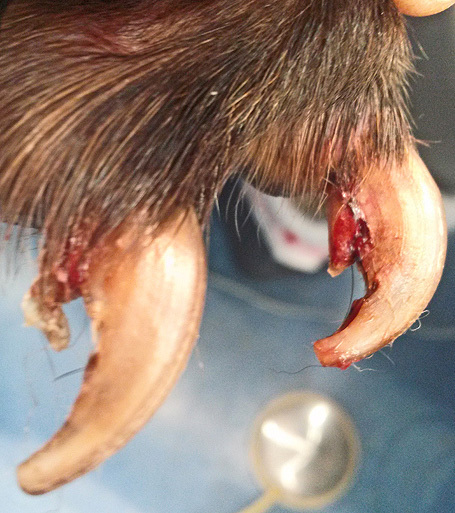 Most vets do not recognize it at all and may pass it off as a fungal infection. Since it is an autoimmune disease, pemphigus can attack other parts of the body. 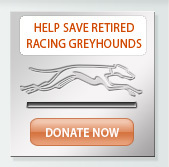 In one of my own greyhounds, it affected his ability to absorb food and he soon began losing weight. We were able to counteract that problem by simply feeding him more. 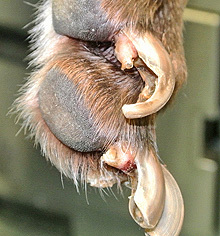 Once most greyhounds have been treated for the nail associated problems, they will not need continuous aggressive treatment. 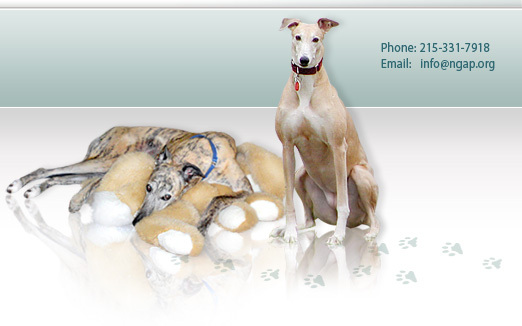 My greyhound was on a maintenance dose of steroids for the rest of his life. -Daily foot soaks of diluted Chlorhexidine followed by antibiotic spray. -Benadryl 25mg twice daily or Hydroxyzine 50mg twice daily for two weeks. If the dog is in considerable pain, an appropriate dose of Rimadyl and Tramadol should be prescribed. If you do not control the pain, you will have difficulty treating topically. Rather than wrapping the feet, booties may be appropriate and much less work. The nail should re-grow although they will often be distorted in shape. The continuous regiment of Vitamin E 400mg once daily is suggested as a preventative.